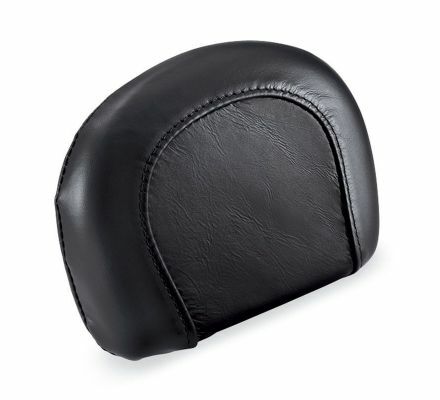 Sized to complement low profile custom seats, this compact leather backrest pad combines passenger support with custom compact style. Fits '97-'08 Touring models equipped with Detachable Short Sissy Bar Upright P/N 52935-04. Will not fit with tall passenger pillion seats.